Slow magazines, Momus on the new wave of anti-materialistic magazines crowding Japan's already densely-packed news stands. 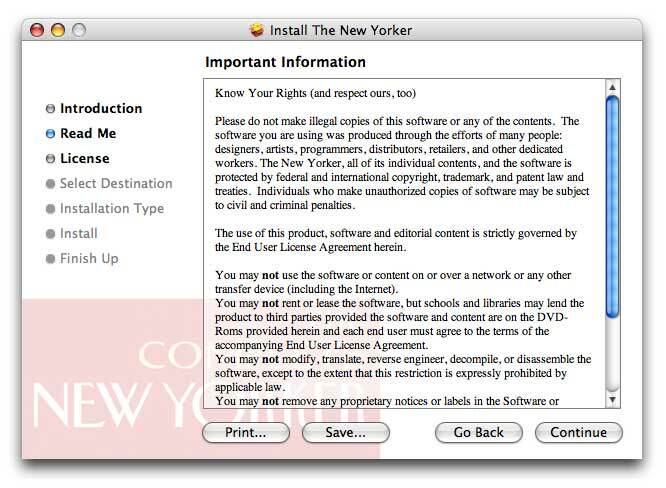 Via Michael Bierut's In Praise of Slow Design at Design Observer, occasioned by a gift of The Complete New Yorker. Quite a package. Tintopia has the lowdown on the set, its unworkable DRM, slow interface and extraordinary license agreement (a point that hasn't gone unnoticed). Happily, such a potentially wondrous thing doesn't stay broken for long: there's a hack that'll allow you to bypass the tiresome disc-swapping. Also at that Boing Boing link, how Peter Steiner's classic, 'On the Internet, nobody knows you're a dog,' had made him at least $100,000. Unsurprising when you consider that a 'deluxe framed print' at the New Yorker Store is $295. Referrer mining. New City Movement, a weblog. Eclectic stuff. 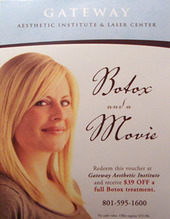 Good to know that you can get $39 off Botox and a movie. Another good-looking, content-rich weblog, Nowuseit, which is starting a handy monthly compilation of Flickr Faves, like this covered car, lifting feet, Antarctic aurora, spinning ride and more. Books and more at Catalogue Blog. Fashion and politics at Lux Lotus. Gracia Haby's High up in the trees is a new weblog detailing her collage art. Explore the Science Museum's extensive archives / a history of parking meters. Early Miller and M.H. Rhodes models from the America on the Move page, which has a browseable collection of artefacts relating to transportation history / self-contained cleaning box: gets everything done at once. Shades of the Smithson's House of the Future of 1956 / the Robert Opie Collection, a treasure trove of packaging design / Gastronomica is the Journal of Food and Culture. It looks delicious and fascinating / Chris Boot publishes great books, which you can buy (cheap) at foto8.com / The end of Los Angeles' Ambassador Hotel (via me-fi).